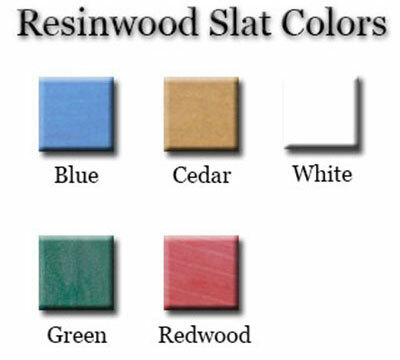 Built from various sized resinwood slats. The entire chaise lounge is made from 100% recycled resinwood slats. 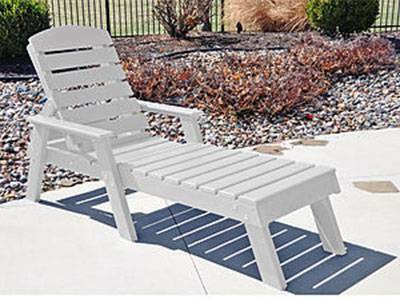 The Jayhawk Plastics Pensacola Chaise Lounge is the most comfortable recycled plastic lounge chair on the market. The chaise is perfect for the beach, pool, backyard, patio or any other place appropriate for relaxing for relaxing nap or cold drink. The entire chaise lounge is made from 100% recycled plastic resin wood slats making the chaise lounge maintenance free. The entire product is UV stabilized to protect against fading. The hardware used is Marine grade stainless steel, an industry first!